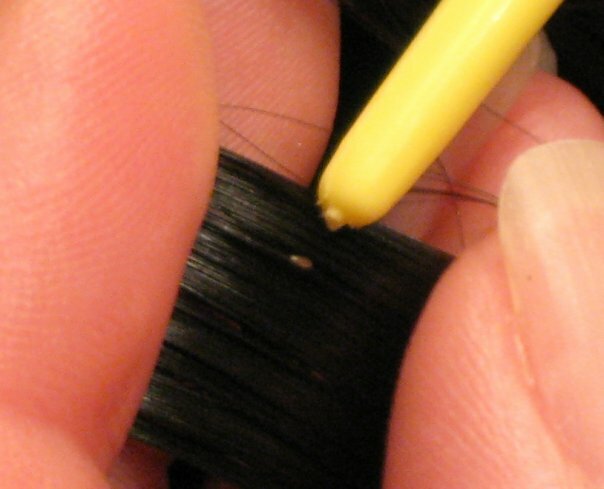 This is a picture of a lice egg also called a nit. Again these are also hard to see sometimes, depending on the color of your childs hair and how early the stage of infestation. A nit feels like a grain of sand and it will not move. It will stay in place. This entry was tagged Cootie Catchers, Lice egg, lice lady of arabia, nit, Riyadh, Saudi, Umm Adam, خدمة سعوديةلعلاج قمل الرأس و إزالته. Bookmark the permalink.